As I begin this writing, it occurs to me that I’ve explained seven of the nine systems used in the energy medicine work that I’ve been studying. There are only two left: The Electrics and the Celtic Weave. I promised that I would explain the Celtic Weave and how you can use it to help restore the Basic Grid, in my last article. Before I get into that though, I should give you a brief explanation of the Electrics. Think of a bridge that connects two roads. The roads are similar but not quite the same. You can drive on both roads, but without the bridge to connect them it would be difficult to get from one to the other. That’s what the Electrics do. They connect dense and subtle energies allowing them to work together. Each of the body’s energy systems is made up of electrical, electromagnetic and subtle energies. Being the most dense, the electrical is about the movement of matter, i.e., electrons and protons. This is where the Electrics appear to originate from in each of the other energy systems. They aren’t really an independent energy system as much as they are a connector of all the other systems at the basic level of the body’s electricity. You could say that they aren’t independent of these systems, but yet not part of them either. Where the aura and chakras support the organs by surrounding them with energy, the Electrics move through them connecting and supporting them at the corporeal level of their electrical nature. Using certain electrical points on the body, such as the ones known as the “headache points” on the back of the skull where the head meets the neck (on either side of the spine), can help in restoring balance to the body. By holding these points for a couple of minutes, movement of lymph and toxins is provided. The Celtic Weave is another of the systems that is neither part of the other energy systems and yet not separate from them. It is another system that connects the others. It is know by numerous names such as the “Tibetan energy ring” or even seen in the caduceus of Western medicine as well as being associated with Hermes, the Greek God who was messenger to the Gods. For me, I think of the infinity symbol…you know the “8” lying on its side? It seems to be a natural motion that our bodies enjoy. If you start to move your hands in this infinity pattern, your body will almost automatically start to sway in that same pattern. We know that the right side of the brain controls the left side of the body and the left side of the brain controls the right side. It goes much farther than that. Energy crisscrosses over our bodies again and again. Being a living system, it is constantly creating new crossovers as it expands and contracts. You could say this is your energy systems’ connective tissue. The Celtic Weave laces and weaves through all the other systems holding the entire system together through a created resonance. Although it crosses the body over and over again, the largest expression of it extends in one large figure “8” that goes from head to toe. This Weave, however, even reduces to the cellular level. You might even say the double helix of our DNA could be the microcosm original of this pattern. So what does the Celtic Weave do, exactly? It keeps all the energy systems in communication with each other so all are working in harmony with each other. When your energies are crossing over, as they should, you’ll feel charged up and you have a sense of power. When they aren’t crossing over such things as learning disabilities, severe immune dysfunction and actually any illness can occur. * Let your hands hang at the sides of your body as you begin to let your body sway from side to side – shifting your body’s weight from one hip to the other, back and forth, as if being moved by a gentle breeze. * As you let your arms sway with your body, take notice of the natural figure 8 movement that happens. Now let your arms swing wide, back and forth, farther away from your body. * Stretching your hands out in front of you, begin to make infinity symbols/figure 8s lying on their sides. Allow your body to move with the direction and motion of your hands and arms. This joyful movement is really more like a dance. It only takes about 1 minute of this motion to help your right and left brain to be in better communication with each other. Okay, I did say I was going to tell you how this can help restore your Basic Grid. Knowing now that there are millions of these figure-eight patterns throughout your body, you then realize that keeping them intact will help you to keep your energy strong. The Basic Grid is very responsive to the Celtic Weave because more than half of its configurations have energy crossing from one side to the other. ***You begin by lying down and doing the Crown Pull. ***Next, focus on an event from your past or present that carries a negative emotional feeling/response for you. ***Continue your focus on this event and still holding the OMG points on your forehead, place your thumbs on your temples next to your eyes and take a deep breath. This causes blood that was diverted in your stress response to the event to return to the forebrain. It will take a few minutes but you’ll begin to think more clearly and it is then that you let the memory/event fade from your mind. ***You now begin to do the Celtic Weave, with your thumbs still on your temples, by making tiny infinity symbols on your forehead with your fingers. – now swing your arms behind your body and, with knees slightly bent, use your open hands to scoop up the energy that, as you stand up, you let shower down over your head – like dumping water over your head in a shower . This will firmly establish this new harmony into your basic grid and your aura. It’s both healing and invigorating! So, there you are. Nine energy systems that can aid you in being healthy and happy! It is my hope that this information will be of some assistance to you. Perhaps you will be intrigued by it and search out more! In any event, I will be returning next time to talk about such things as why energy healing is a natural step in spiritual progression, energy psychology, and why affirmations may not be working for you. Until then, have a wonderful journey!!! 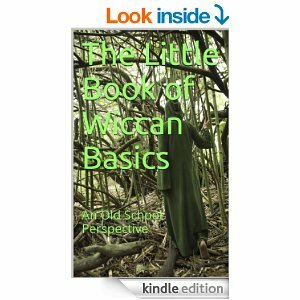 This entry was posted in Astrology, Metaphysics and tagged Basic Grid, Celtic Weave, Energy Medicine, Magick, Paganism, Self-Empowerment, Self-Healing, Self-Help, Vibrational Healing, Wholistic Healing, Wicca. Bookmark the permalink.